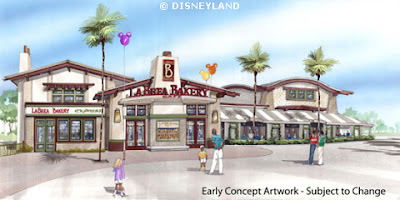 On January 3, La Brea Bakery Café began a significant refurbishment of its current location including expanding the restaurant’s footprint, creating a new exhibition bakery, adding a new kitchen in the express area, and placing an awning over the outdoor seating in the full-service dining section. The remodel, as seen in this early concept artwork, also will allow La Brea Bakery Café to produce fresh baked items at the restaurant, which will include a selection of breads, pastries, sweets, flatbreads and foccacias. The café will feature menu items inspired by La Brea Bakery’s founder, Nancy Silverton. From double-dipped French toast and fontina strata at breakfast to burgers, salads, panini and authentic Italian focaccias made fresh throughout the day, the focus will be on fresh, healthy and flavorful foods. La Brea Bakery’s full-service restaurant remains open during the refurbishment through mid-March. The restaurant will reopen its doors with a fresh new look in April.